Join the leading brain training program with over 10 million members worldwide and give your cognitive skills a boost! Try it now! New! 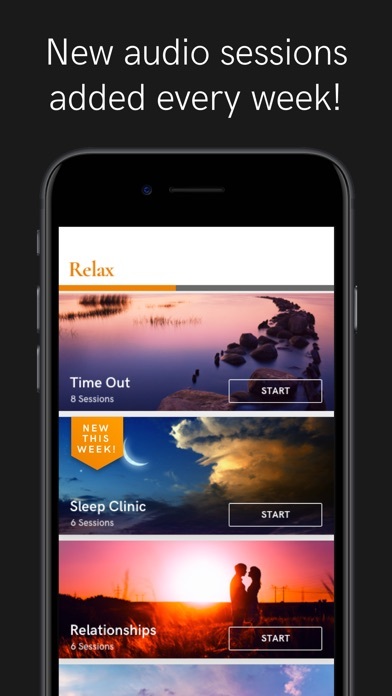 Introducing Memorado Relax - Unwind with our all-new audio relaxation stories and exercises, meditative games and daily tips! It's time to give yourself a break! A stronger brain leads to a better life. Improve your memory, concentration, reaction, logic and mathematical skills with 24 fun and challenging mind games over 720 levels. 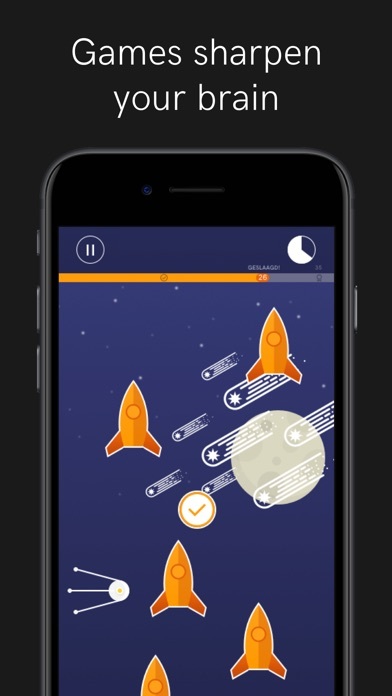 Track your statistical progress as you play your way towards a sharper mind! REVIEWS 5/5 "Fantastic - Great game to play to keep your mind busy. Very fun. Great for kids too." 5/5 "Its great! It really does test your mind!" 5/5 "This has helped me focus more and improve my memory by doing the different challenges. I'd recommended it for anyone to try out" PRESS TechCrunch: "I’ll confess, I’ve recently become hooked on so-called brain training games" OUR FEATURES - Over 720 levels within 24 mind games to train memory, logic, concentration, reaction and mathematical skill - Four soothing and simple Mindfulness exercises to lower stress and restore mental balance - Stunning graphics coupled with easy usability - Personalized daily workouts that are configured according to your wishes - Regular scientific tests will track your progress over time - Statistics to show your strong areas and the potential for improvement - And more! SCIENCE BEHIND MEMORADO Memorado is at the forefront of neuroscience. Our in-house team of neuroscientists has created games to train memory, concentration and much more. Based on the science of neuroplasticity, studies have shown that brain training can improve working memory and increase fluid intelligence. OUR BRAIN A stronger working memory enables quicker learning and an improvement in brain connectivity. Scientists have found that strong brain connectivity is an important component of human intelligence and memory and may slow down dementia. They have concluded that your mind and brain can be trained like you train your body. 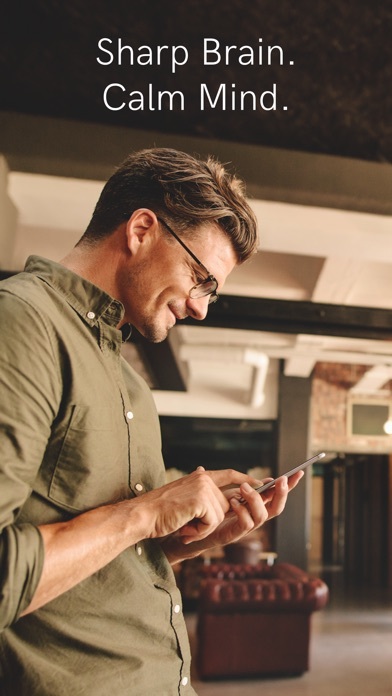 MEMORADO PREMIUM Memorado is completely free to use for you. 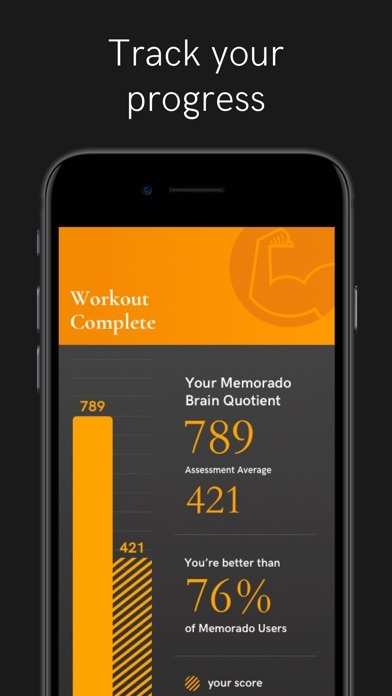 However, if you want to improve 74% faster (on average), we recommend to upgrade to Memorado Premium. 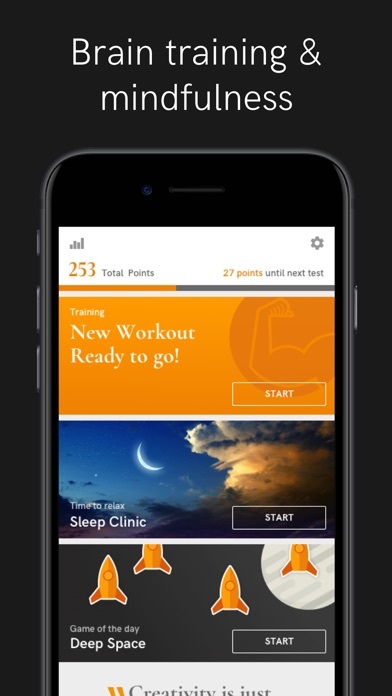 It offers truly personalized workouts, which are being updated on a daily basis and optimized for maximum training benefit for the duration of your membership. Furthermore, Memorado Premium grants unlimited access to all games and statistics. MEMORADO PREMIUM PRICING You can upgrade to "Memorado Premium" by purchasing the following subscription plan: 12 months for $59.99 (These prices are in USD, actual charges might be converted to local currency depending on your country of residence.) The subscription automatically renews unless auto-renewal is turned off at least 24 hours before the end of the current period. Payment will be charged to your iTunes account at confirmation of purchase. Account will be charged for renewal within 24 hours of the end of the current period, and the cost of the renewal will be provided. MEMORADO “timout” video has calming effect! I have enjoyed one peaceful video of islands, the camera scanning slowly the mind and body calm to a standstill. - autor:Sharri9133 - title:MEMORADO “timout” video has calming effect! I am so tired of apps wanting you to pay monthly for their services! Whatever happen to apps that were great but covered in advertisements. 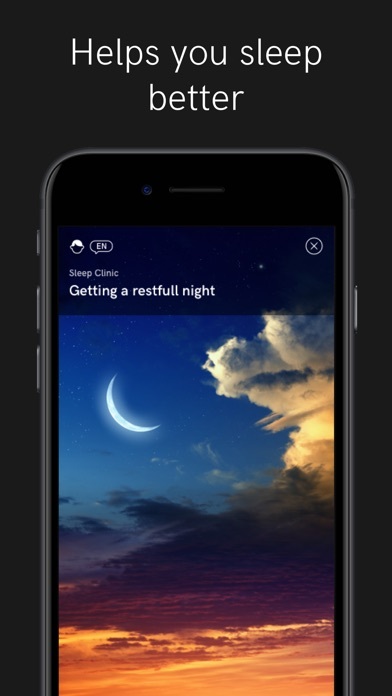 I wish that I wasn’t bombarded with a trial or subscription when I first opened the app. I’m sure that this application is great... I’m just not impressed on how you are greeted. - autor:Trenkb_4 - title:Another Subscription App?